A tall celtic cross, decorated on the east face, on a plinth inscribed with the names of those who fell in the Great War. A supplementary plaque at the base of the cross records those who fell in World War II, and was joined in 2008 by similar plaques repeating those who fell in the first due to the original inscription becoming illegible. Listed Grade II. 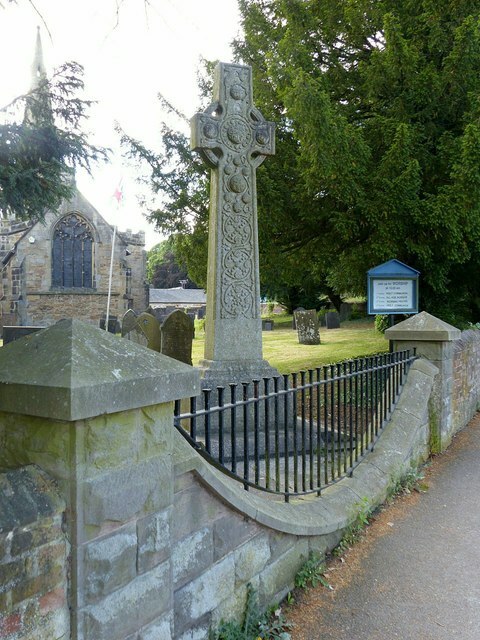 St Mary's Church is situated on Church Road, Denby Village. It is a grade I listed parish church dating to the early 13th, 14th, early 15th and late 15th centuries. Alterations were carried out in 1838 and restoration work in 1901-3. The church building possibly incorporates earlier work. See Link , Link and Link for more details.